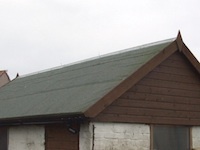 Roof felt coming off your shed or garage? Let Solas Handyman services replace this for you like new. Single or double skin options available depending of durability required and budget. 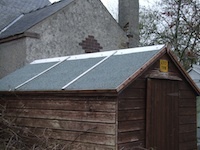 We can also build garden sheds, do repair work replacing rotten timbers or paint/stain the wood.